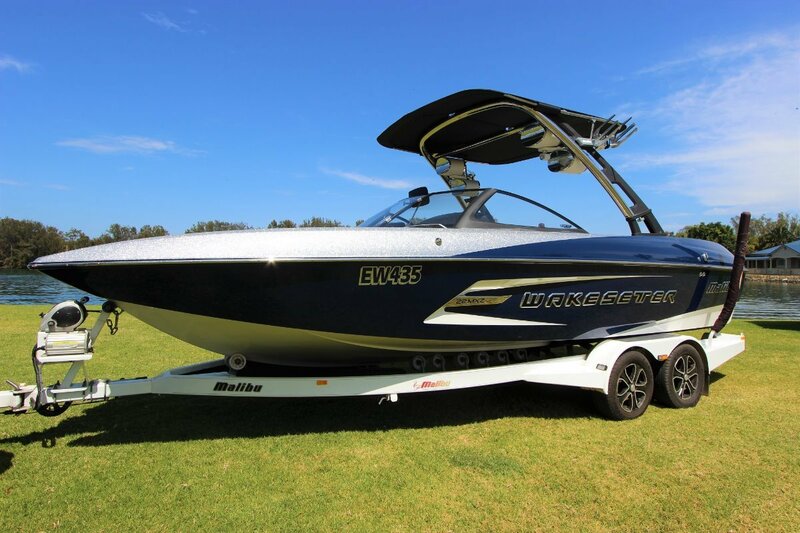 A half share is now available in this 2014 Malibu 22MZX Wakesetter that presents in fantastic condition and is set up for the serious water sports enthusiast. She comes complete with a large ballast tank, power wedge as well as a surf gate to either side to create a massive wake that can be surfed without using a ski rope. There is plenty of seating for a great day out on the water. The current owner is looking for a like minded person to share this beautiful vessel with as he does not get enough time to use it. The sharing arrangement will be done using the unique Boat Equity system. This system makes boat sharing accessible, flexible and totally secure. Plus there are no expensive management fees! Please call Ryan Polla on 0414 451 665 for more information or to arrange a viewing.